As you hopefully saw in my last post with an incredible video of some amazing mountain flying, I finally got back in the air earlier this week, and was rewarded with a fantastic flight. Fortunately, the weather is finally turning Spring-like here, and my flying day didn’t end after work. I was able to hustle over to the other local airport for some more flight training. On the agenda for today was a little cross-country to get us out of the local area. My CFI told me to just plan however I normally would, and then we would adjust from there. Initially, I didn’t think much of it because planning for flights is literally what I do for a living. However, when I sat down to do some simple flight planning (only about 50 miles away) I was genuinely at a loss. You see normally I just plug all of my information into the computer and then it prints out a nice little flight log for me. I have the ability to do it by hand, but even then it is over hundreds, if not thousands of miles, and while the principles are the same, the dynamics are a little different. I did put together a simple little flight log, only to find out upon arrival at the airport that there is an actual VFR flight log that is commonly used. Different awesome plane than the morning, but still the same incredible weather. How could you not love this? 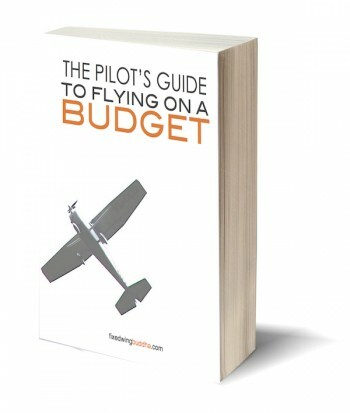 When I got a good look at it after the flight, I saw that it really isn’t that different from what I use on a regular basis, and it would have really helped in planning the flight. All of that aside, we had enough information to still make the flight safely, so we proceeded onward. The biggest thing of note on departure was how poorly the plane was climbing. While I have experienced this regularly in a C-130, the effects of high, hot, and heavy on a small plane is even more dramatic. 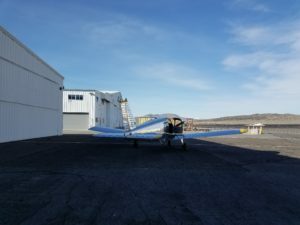 Our tanks were about two-thirds full, my CFI and I are not small men, the airport sits at about 5,000 feet, and as I mentioned, it was the warmest day I had experienced since starting back to flying. We were still able to safely climb out, but the combination of all of the above was definitely noticeable. Upon getting to altitude we were in range of the VORTAC we would be navigating towards so it was time to put on the foggles for the first time. Now I was not overly concerned about the navigation aspects of flying, because after all that is what I do for a living. The difference in this case is that I only had a VOR as opposed to the two VORs, two TACANS, two INUs, GPS, and Self Contained Navigation System, or SCNS, that brings it all together for me. Man did I feel stupid. I got it figured out eventually, but I had certainly overestimated how easy it would be for me. It was a good reminder that I really need to put in the extra time and effort to make sure that I am prepared for the rest of this training, or quite simply, I will fail. This was a common lesson on this flight. Enroute to the VORTAC we started to discuss descent points as we were about 4500′ above our destination, and it turned out the VORTAC would be a good descent point. Getting to that conclusion proved to be another reminder that I don’t have all the same tools I am used to, and the brain disconnect switch, otherwise known as the pilot’s seat, was in full force. I have taught this principle to numerous students, but when it came time for me to do it in the plane I drew a blank. Eventually it came around and we were able to descend without any real issue. As we approached Fallon Municipal Airport (KFLX) we discussed the fact that the airport sits right on the edge of NAS Fallon airspace, which you may or may not know is the current home of Top Gun so we needed to be on the lookout for fighters, and Tom Cruise. I mean, you never know. It was also worth noting that the runway is a little shorter and more narrow than at Stead where I had done most of my landings, so we discussed the optical illusion of feeling like I was higher than I actually was. No worries though, and I landed relatively smoothly, and we taxied off just to get a momentary break, and set up for the next training event, short field takeoffs. We dropped the flaps to 25 as we pulled onto the runway, stopping as soon as we made the turn to centerline, stomped down on the breaks, and ran the power to full. Refraining from putting back pressure that would increase drag, I was impressed with how quickly the plane accelerated to a safe takeoff speed, especially considering how much of a pig it was climbing earlier. We popped off the ground, and once we reached Vx we climbed over our 50 foot obstacle, transitioned to Vy and as the speed came up got rid of the flaps. It was no C-130 assault takeoff, but it was still pretty fun. In order to ever need to takeoff from a short field, you must first land there. So we came around for a short field landing, with full flaps, aiming for brick one, and keeping it nice and slow to minimize the ground roll. As I have a tendency to still float it a little, I was pretty proud of myself for how close to the threshold I actually put it down. It was a little firmer than I would have liked, but my instructor pointed out that they are expected to be a little more firm in general. It is amazing to me how many of the principles never change between small GA aircraft like this beloved Cherokee, and the C-130 and what we do. I am yet to bounce a landing, but it happens relatively often in the C-130 when we are doing assault landings, which are really just short field landings. After having a good landing, I had to get one more, so after one more smooth pattern, we headed back for Stead utilizing the same VORTAC, and those super fun foggles. I can personally attest to their uselessness as sunglasses, as we were flying West into the sunset and I had to duck below the cowling to even be able to see my instruments. This leg proved to be much more effective on the VOR while climbing out to clear the mountains between us and home. One of the first incredible sunsets of the spring that you get here in the high desert. The perfect way to end a perfect day. Upon arriving back at Reno-Stead, we decided to do a few more patterns before the sun set. 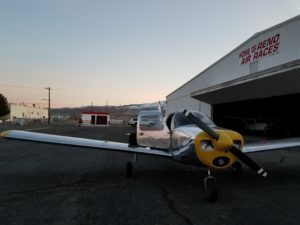 All went well, and as we taxied off the runway my CFI pointed out that I had done 7 smooth landings without him even thinking about touching the controls, so the next time we flew I was going to be going solo. Based on the crappy landings I had performed for the first few flights I will admit that the thought was both exciting and terrifying. I knew it was the next major step in my progression, but I also have seen enough videos of idiots jacking it up that I didn’t want to end up on YouTube. But for the moment I would simply enjoy the compliment on my landings as we taxied back to the hangar and put her to bed. All in all, it was an amazing way to end an awesome day of flying. I really couldn’t think of a much better way to spend a day than flying all over the place. Possibly even more exciting to me was that I had the same thing planned for the next two days as well. As you will see in the coming posts, I did a whole lot of learning, and had a whole lot of fun. 2 responses to "Cross Country Flying, Foggles, and Short Field Takeoffs and Landings"
Thanks for sharing. I love these stories. It’s like I’m there. 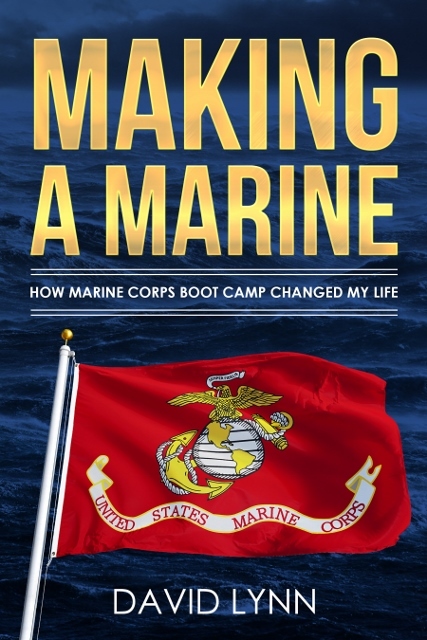 As far as the Top Gun reference, I’m sure I’ve told you my story from my mission in Italy. One of the members was a US military guy. Turns out, he actually was one of the pilots the flew the F-16s(?) in Top Gun. After one of the flights this guy did for the movie he was walking by Tom Cruise. Tom Cruise came up to him and asked if he wanted to get his autograph. He said that he told Tom Cruise, “Sorry. I don’t get autographs from wuses.” So funny. I bet Tom hadn’t gotten that response much. You should really try it sometime. It is such an incredible experience. Even if you just go do a discovery flight for an hour or something. It is so fun. Otherwise I will just have to take you up someday. That is a great story. Typical fighter guys.